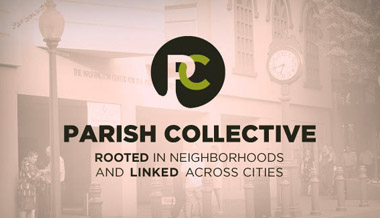 Parish Collective connects and resources the people of faith in particular neighborhoods to be the church together in the place they live. Our grassroots-level work weaves together neighborhood churches, missional communities, and any group of Christ-followers desiring renewal in their parish. The members of these groups (which we call Parish Initiatives) develop postures and practices for becoming present in their neighborhood and participating in what the Spirit is up to there. This means discerning, supporting, and collaborating together on projects that contribute to neighborhood reconciliation and parish renewal. Author and professor Dwight Friesen on the church being open...but also closed and forever becoming. Author and professor Dwight Friesen on the progressive understanding of goodness and the radical call to follow Jesus. Start the fire. m Soerens and Paul Sparks of The Parish Collective along with author Dwight Friesen and TWOTP's Steve Frost discuss the theology of place. Tim Soerens and Paul Sparks of The Parish Collective along with author Dwight Friesen and TWOTP's Steve Frost discuss going to to mission as "listeners."